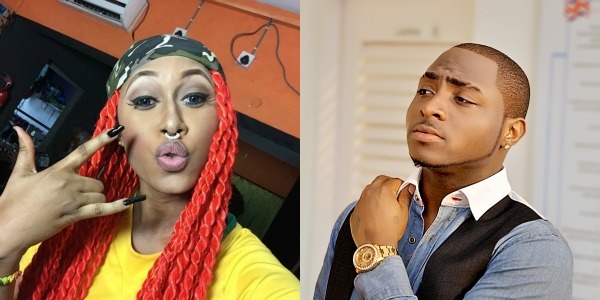 It all started when Cynthia Morgan posted a series of short clips on Snapchat addressing Davido and using the F word to describe him. In her video she imitated Davido’s husky voice and made a couple of provoking statements. A follower was able to record it with his phone and share it on YouTube. Expecting Davido to return fire for fire, he surprised his fans by choosing a more matured route. In my own opinion, Davido probably has no time for social media fights and this kind of reply is simply dope. What do you think of it? The Nigerian Face model, Adetutu has been featured on BBC Africa, weeks after she was followed by Rihanna on Instagram. Adetutu won the attention of many after her post on Instagram concerning her wish to work with Famous Musician and Business woman, Rihanna. The post did not only help her to gain an unusual "follow" from Rihanna, but it has been the beginning of great things in her life. Although he is busy working on a prequel to his Power TV series, 50 Cent always has time to fit trolling into his schedule. Earlier today (Nov. 5), Fif went on Instagram account make fun of Floyd Mayweather's upcoming fight with Japanese kickboxer, Tenshin Nasukawa, which is set to take place on Dec. 31. Nigerian musician and entrepreneur Dbanj who is set to drop his next song this November has joined the list of African artists to be signed to Sony Music Africa. The latest Dbanj song is said to feature, Mavin’s songstress and screen diva, Tiwa Savage, titled ‘Shake It’.